A couple of weeks ago, I strung some 4' high, 50' long snow fence through the trees on the west side of our driveway. The hope was that this would capture the snow that was clogging up the driveway whenever the wind blew after a snow storm. You can see the fence and the open driveway in the photo above. 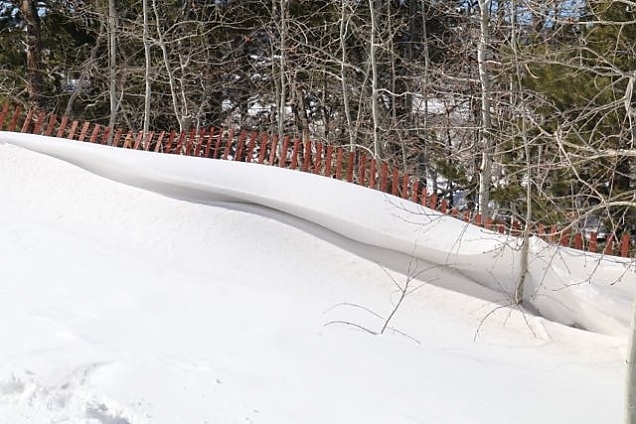 There is a "rule of thumb" for installing snowfence in this part of the country based on the typical wind speeds. It is a pretty easy calculation. The area upwind of the fence is call the "fetch". If you have an "infinite" fetch, in other words there is nothing upwind of the fence to catch and disrupt the blowing snow, then the fence should be set back by 34 times the height of the fence to avoid any snow on the area you want to keep clear. With my 4' high fence, that would be 136'. But, I have trees in the fetch, plus did not have the luxury of putting fence poles exactly where I needed them and had to use existing trees to mount the fence. So, my fence is only about 30' from the road. But, I thought it was worth a try. The good news is that the fence works. It captures a lot of blowing snow. Just look at the drift it created on the downwind side! That is snow that would be in the driveway. However, it is not far enough back from the driveway to keep it clear. I need to install an additional fence further to the upwind side to create a shorter fetch for this fence. And, there are still places where there is no fence because I'd need to put fence poles in the frozen ground to mount it. 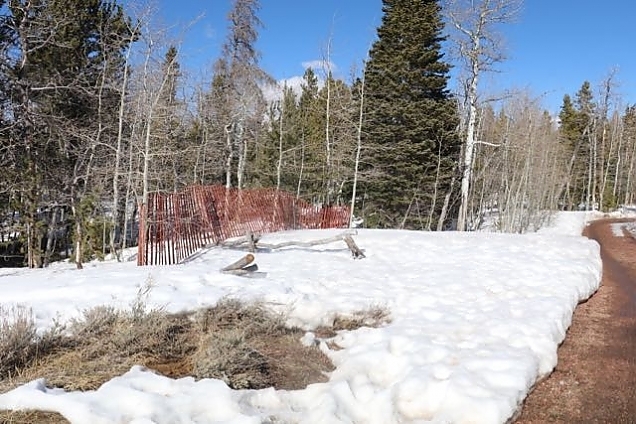 In the photo above, you can see the amount of snow the fence is capturing, but you can also see that the driveway is filled with about 2' of snow again. We are just going to leave it this way for now. We don't really need truck access to the cabin. This spot is only a few hundred feet from the cabin. And, we can always use the Ranger to ferry from open roads to the cabin. 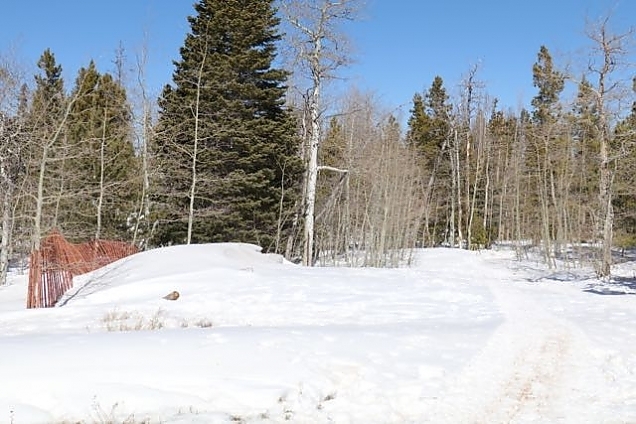 Later in the Spring when we are unlikely to get bad snows and high winds we'll open the driveway back up again. This coming summer we'll put posts in the ground and put the snow fence up in the right locations. Still, I think the experiment was successful in that we can see just how well the fence can function if placed appropriately. Previous entry: Happy Birthday to Lynne!